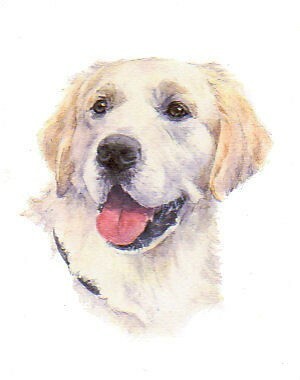 If you like the images on my website and would be interested in having an original watercolour of your pet / animal, good clear photographs with plenty of detail are required, preferably taken outside to ensure the correct coat and eye colour. Prices start from £80.00 for a 10" x 12" double mounted Head Study. A £20.00 non-returnable deposit is required on acceptance of your commission. Once your approval of the finished image, sent by email, is received the final balance will be payable and the portrait will be forwarded by Special delivery, postage, packaging and insurance extra at £10.00 add Delivery via Airsure to EU and rest of world includes postage etc.